What have I been wasting time on? Supports 320x200 to 1024x768+ resolutions. Can switch between 16 different palette maps. It is still early in development. - Brush and paint tools. Still much to work on. I'm currently working on the selection box and cut/copy/paste tools. Re: What have I been wasting time on? That sprite editor looks interesting . So does the game. I never liked Toadman games to be honest. Action games with tile by tile movement and no AI....maybe this sequel will be interesting. As BadMrBox, I'm more interested in you Sprite Editor. PP256 was my key QB games development tool. Having something in the same vein for FB would be awesome. Mhmm. I see how it is. 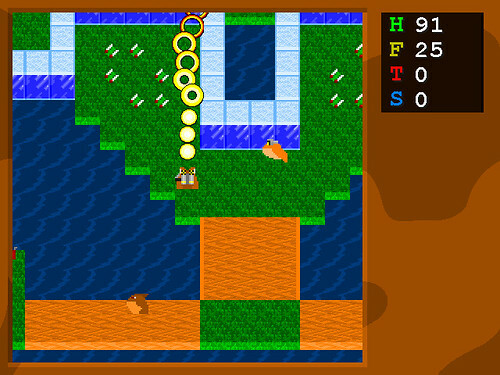 The first two Toadman games weren't designed for single player, although some cheap AI was programmed in for Toadman 2. At the time those games were being developed I had a cousin living nearby who also programmed, so that style of game evolved because we found it incredibly fun to make games where we could verse each other. Still, they were very lacking and buggy. I always wanted to make a third one, something solid that didn't have all the problems of the first two. The AI is a major focus for this one. The scrolling style is half-tile, as opposed to a whole tile at a time. Full-out pixel by pixel scrolling doesn't seem to fit the pacing of the game. 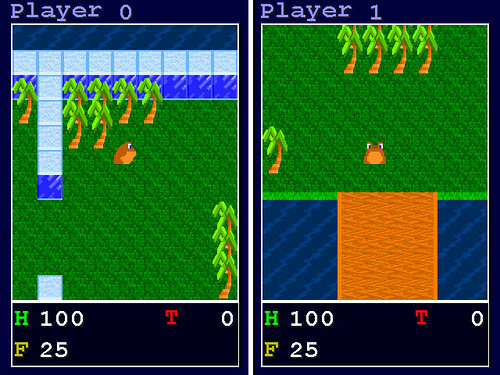 You navigate the map similar to tile by tile but there's some quick animation and scrolling as you hop in between tiles. 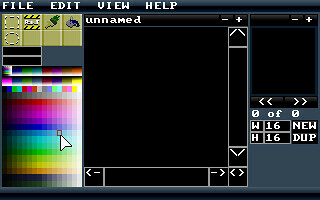 Same with the sprite editor, always wanted to make one. I tried many times, but this time I actually got something going. Hooray! Looks cool. Nice to hear you are putting the main focus on AI in this sequel. What's the current status of development? It's been on hiatus for a couple months. Just got back to working on it over the weekend. Besides that, there's not much else to report about, unfortunately. So it's been a while. Very little has been done. I'm going to cut back. First, I'm dropping this AI idea; that's going to take too much time that I don't want to commit to. Then I'm going lay out a plan to finish this. 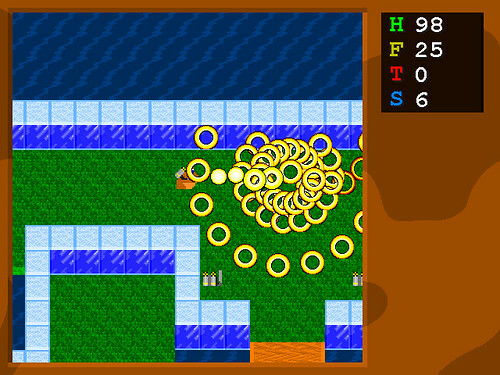 Going to go with something simple, like just a one player adventure mode. I'm not giving up on this yet. Cool. You know you could have some primitive linear (bilinear) follower AI. IF ENEMYX>PLAYERX THEN ENEMYX-=1 etc. Ok so I don't know what to do with this game anymore. Sure, hopping around and setting trees on fire is fun...but beyond that I'm short on ideas. So this project is on the back-burner for now. No, no, here's an idea- make blue enemy frogs that explode and you try to get them to blow themselves up.